2016 was the warmest year on record globally, and given the evidence of the past few weeks, 2017 could well eclipse it (we have a lot of the year to go still, of course!). But certainly we’ve been having an unusually warm February in this region, and while this is worrying, it’s also making us feel like we want to be out in our gardens. And we should be! But not necessarily doing the tasks that are usually completed in April, even if the weather is April-like. No, it’s not time to plant all your spring crops. We could still have weeks of temperatures dipping below freezing – in fact it’s below freezing in much of our region this morning, and forecasts indicate some chilly nights next weekend as well – and while your overwintering greens are probably loving this weather, young seedlings will be much more vulnerable. Do some pruning. I pruned my blueberries last weekend. February and March are excellent times to prune blueberries, but we don’t usually get to do it in short sleeves. Here’s our blueberry pruning page, and you can find information about pruning other fruits on our website as well. Work on your soil. Our winter has been very dry, which is not good for plants in general, but does mean that soil is not heavy and waterlogged, so if you didn’t spend time this fall spreading compost and working it into your soil, you can do that now. If we do get a heavy rain, put that task off for a day or so, because working wet soil can compact it. Work on hardscape tasks like putting in fences, trellises, elaborate support systems for those enormous kiwi vines you’re all going to be inspired to plant this year, compost bins, new paths, etc. Start some seeds inside. It does look like our spring will come early, even if it’s not guaranteed to be here yet, so jumping the season a bit on seed-starting may pay off. By which I mean a couple of weeks, not months. If you start your tomatoes in February you will have GIANT PLANTS in April and then we are guaranteed to have chilly weather that they can’t tolerate. And okay, go ahead and start some seeds outside. I did. I put in radish and pea seeds at the demo garden, and will probably try some in my own garden as well. Stick with cold-tolerant, quick-growing plants, and be prepared to shrug your shoulders if they succumb to frost. But they might not, and it’s only a few seeds lost if they do. 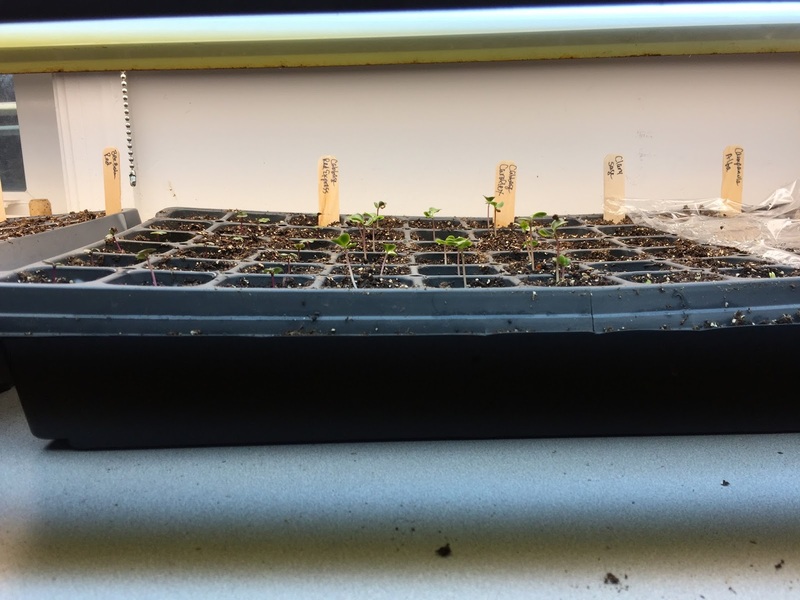 Thanks to all the sun, the soil is warm enough for many cool-season seeds to germinate. Just get out there and observe. I’ve had crocuses blooming for a while now, and also have daffodils and miniature iris as of yesterday. Trees are budding and bursting into flower and leaf weeks ahead of schedule (if there is such a thing as a schedule anymore). 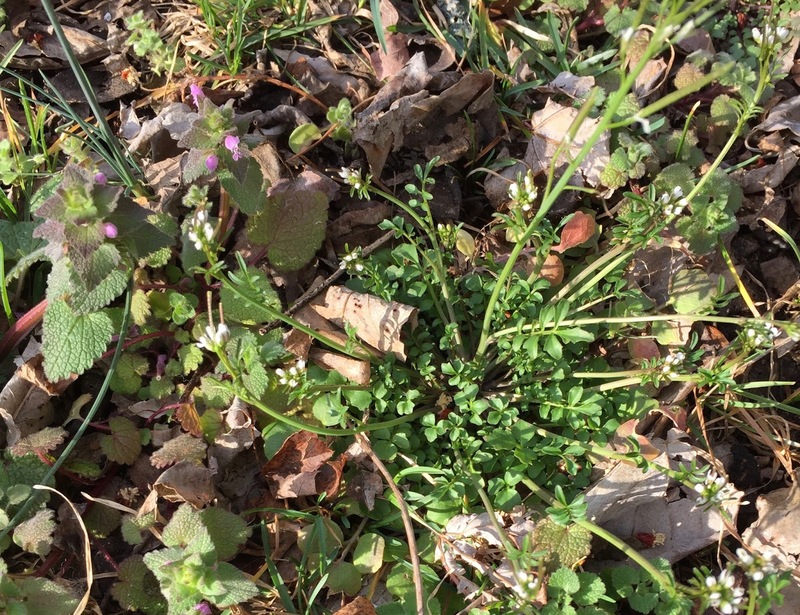 If you want to participate in citizen science, check out Project Budburst, which tracks plant phenology (the relationship between plant stages and seasonal changes) thanks to data provided by thousands of people like you. Just register, pick a plant or two in your yard, and keep an eye out for buds, leaves, flowers, etc., then upload your observations. And do have fun out there! Thanks Erica, these are all wonderful start to spring tips! It's April 12th now… can I ant my tomatoes??? I grew em from seeds inside and they are 1 to 2 feet high already now. Will be planting in Hampstead MD. Look ahead at your weather forecast, especially the nighttime temperatures. I see lows in the 40s coming up for Hampstead. That is too cold for tomatoes. Wait another week or two and then try putting them out with some protection – a wall-o-water type device, stakes with row cover wrapped around, or just be prepared to throw a heavy sheet or blanket over them for the night if it gets cold. Ideally you should have soil temperatures above 60 and air temperatures not dropping below 50, and even then they will grow slowly until we hit warm temps in May. Next year don't start tomatoes inside until late March and you will do much better in timing! Good luck!